21,792 others viewed this post. When life gives you storms… take photos! It’s probably been over a year since I posted something on the photoblog that wasn’t space related. 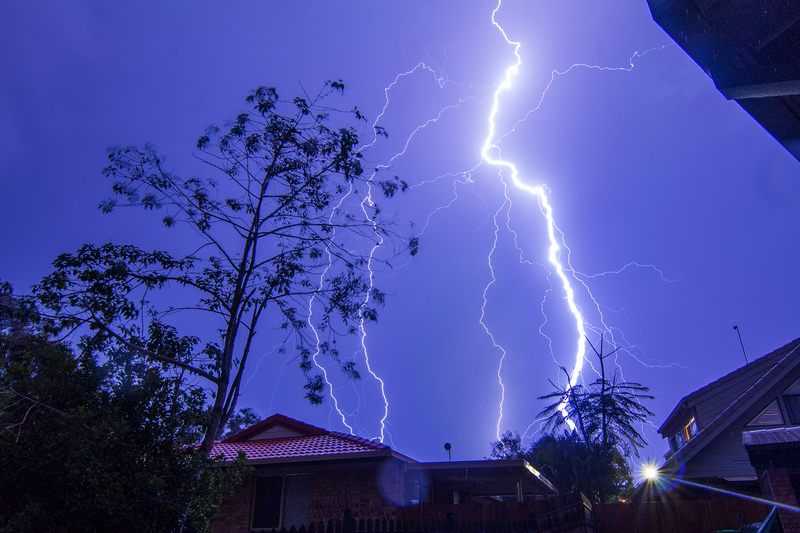 Here is a photo from the lightning storm two nights ago. It was easily the biggest I’ve seen in the 8 years or so I’ve been living here. There were 3 storm cells (colliding), and almost 7000 ground strikes in the region in the space of a few hours. A man camping on Mt Warning, a natural lightning rod, was killed after being struck which is terribly sad. I captured many strikes that night, but these were the closest and brightest. I had to turn the camera settings all the way down to ISO 100 to avoid over-exposing such a powerful strike. That meant all the small strikes didn’t come out at all in the camera, but I took the gamble knowing that a big strike would expose perfectly which paid off in the end.